an Diego is a great place to live. Many people would like to move to San Diego or to other areas within San Diego County, but are unsure of the best movers to choose. There are many moving companies in the San Diego area, but you really get what you pay for when using these discount moving companies. Gorilla Movers is the top rated San Diego Moving Company. Gorilla Movers is licensed, insured, and a San Diego BBB Member. 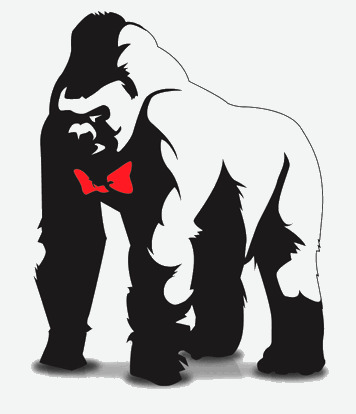 With other moving companies you won’t get the customer service and quality moving that you do with Gorilla Movers. Other moving companies use low budget equipment and inexperienced employees to move your treasured belongings. At these discount moving companies the priority is not to protect your things, but to raise your bill by charging extra for materials and equipment. Other moving companies may or may not be licensed, insured, or a member of the San Diego Better Business Bureau. Moving and relocating is one of the most stressful times in a person’s life. Moving one’s business or a commercial move can also be a very stressful time. Don’t choose a budget or discount moving company during this stressful time. Choose a San Diego moving company that is licensed and insured and a member of the San Diego BBB like Gorilla Movers. The discount and budget moving companies of San Diego won’t ease your mind during this stressful time of residential moving or commercial moving. Customer service is our No. 1 priority. The San Diego Chamber of Commerce named Gorilla Movers as a 2010 finalist for "Excellence in Customer Service.” We cater to our customers’ needs and their belongings. If the move goes smoothly and stress free for our customers, it goes smoothly for us. To ensure this happens consistently, all Gorilla Movers must pass a strict training course. We provide an enjoyable workplace that emphasizes teamwork, which is evident on moving day. We are licensed, insured, professional and friendly. 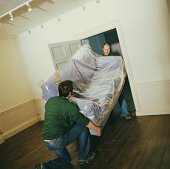 Gorilla Movers is the premier residential and commercial moving company of San Diego. Let us help ease your worries through the stressful time of moving with our friendly, reliable service. Whether you just need your rented truck unloaded, or you need your whole house packed and moved - we do it all! We strive for customer service and satisfaction, and will not disappoint. Call today for a free estimate! We offer all the moving supplies you need to move your belongings safely. for your convenience, we deliver packing boxes/supplies ahead of time FREE of charge for orders of $100. We also offer a full packing service to eliminate the need to pack in advance.